CorkSport's front strut tower bar for 2014-2018 Mazda 3 and Mazda 6 increases the torsional stiffness of the chassis front end to improve driving feedback and response. Despite what many think, the front tower bar is not for appearance only. It advances the handling and stability of your car when you take a hard corner and body roll in general. 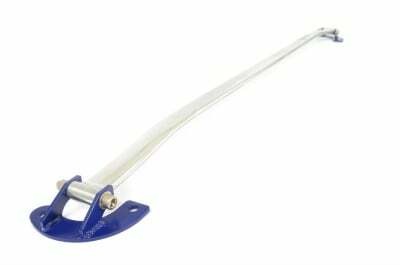 Decrease the stress on your car's suspension and boost traction by adding our cost effective strut bar. You'll certainly feel the difference. Pair it with our rear sway bar for optimal handling. Share your experience with the CorkSport community by adding a review. Material: We created the strut tower bar out of 2024-T4 aluminum for Mazda 3 and Mazda 6. It not only provides excellent strength, but is also lightweight and durable. Hardware: T304 stainless steel hardware for securing the bar to the bracket, for long-lasting looks and corrosion resistance. Finish: Polished aluminum strut bar for great looks with the stylish CorkSport logo plate. Fits all engines: Works with the 2.5. 2.0 SkyActiv petrol models and 2.2 SkyActiv Diesel. Utilizes factory mounting points: Easily installs to factory mounting points with four bolts making installation a breeze. Extruded chambered bar design: Providing a double strength design over a standard tower bar. Engineered in the USA: Designed and engineered in Vancouver, Washington. CorkSport service and support: Includes a 2-year limited warranty, full color installation instructions, and all necessary strut bar parts. We provide knowledgeable telephone support at 360-260-2675. It will take you between 15-45 minutes to install your front strut bar. Follow our easy installation instructions to enhance your handling. Definitely more stable in high speed cornering and even just switching lanes. Was mostly looking for a more stable feel after going over dips in the road at high speeds. The car would sometimes steer to the sides. This defiantly did the job. The easiest mod I've ever done, literally falls into place. Installed this on my 2016 Mazda 6 Skyactiv 2.2 Diesel. (Yes it fits the diesel everyone) The car feels a lot tighter at the front and definately stiffer and the car stays flat through corners even at double the recommended speed signs ! It's probably the cheapest suspension mod available, but also one of the most effective and very simple to install. Highly recommended. I ordered this for cosmetic purposes and to my suprize there is a noticeable difference in the steering feel. Got the tower brace about a two weeks ago and I love it. Very easy to install, I suggest watching the install video on youtube provided by CorkSport. Noticed a huge difference in my daily drive, but I do live in an area with a lot of small curvy roads so your results may vary. Overall, 10/10. Great job on this one guys. Great value for the price. Painted the blue brackets red to match the rest of my engine bay. Looks fantastic. Tested it out by doubling the suggested speed on a couple turns. Felt like it helped but it could be placebo effect. Wildly easy install - took longer to get it unpacked than to gather wrenches and install. Noticeable positive difference in handling (2016 Mz3sGT) - makes the steering even more precise and planted and cornering hard feels more controlled and even more fun than before. I can't believe this isn't stock gear on the s trim level. Thanks CS! The bar performs as advertised and installed simply enough. It is designed with the hex nuts facing the firewall, which means you will need a short socket to squeeze in to tighten the hardware. Would be better to have the allen bolts facing the firewall in my opinion. The CS logo is also crooked on the bar, which bugs me a little each time I pop the hood. Gives the car a much nicer feel on the onramps/twisties and makes a very noticeable improvement at the autocross track. 15 minute install - and that counts the 10 minutes looking for the right socket adaptor. Great product at a great price. Going to do the rear anti-sway bar before next season. Super easy to install and noticeable difference . . . I immediately took vehicle to known areas I drive and have noticed bad roll at high speeds in the past. Can totally take those same turns at higher speeds than before with real improvement on roll. Feels much more planted and flat around corners and cloverleaf on and off ramps can take them much more comfortably and while taking turns, had to shave down a bit to fit my 3, easy fix though. Looks great and easy to install. No noticeable handling improvements however. The CS strut bar should be your first mod. 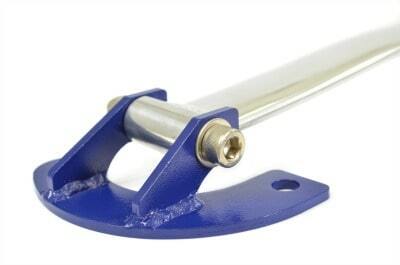 It's lightweight, easy to bolt on and gives a noticeable increase in handling. CorkSport was kind enough to get it powdercoated for me at a fair price and it looks fantastic. The strut bar made a noticeable difference in my Mazda3 considering that it is a McPherson Strut setup to which strut bars play a more major role in handling to reduce the understeer. I would highly recommend this bar and the rear strut bar from CS! Very easy to install. Looks great under the hood in the engine bay. Awesome product !!!!! Very easy to install - excellent instructions. Looks good under hood - time will tell re: performance (difficult to put to the test due to winter here in Ottawa, Canada). Very satisfied. will this fit the new 2019 mazda 3 hatchback? It will not. We are working on products for the 2019 models. Will this fit the 2018 Mazda 6 2.5l turbo? There are some small differences so it will not. We are looking at getting one made for the 2018+ models. What about the 2018 Mazda6 2.5 non-turbo fitment? There is enough of a difference in models we are looking at a new design. 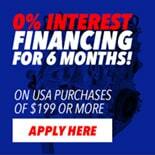 Does this fit my European 2018 2.0L Mazda 3? Does the bar come colored as shown? Would this work on a 2016 CX-5 with the 2.5 SKYACTIV motor? I understand it is not meant for this other model, however, just curious... if not, will CorkSport be producing a strut bar for the CX-5? No it will not. Unfortunately, we do not have any plans for this. This should not affect your warranty. Anytime warranty is voided due to aftermarket modifications would be if the dealership can prove the aftermarket part caused the fail. I would assume a bar across the motor wouldn't be a cause of any kind of warranty issue. Does the vehicle need to be jacked up to install the strut bar, or can the wheels be supporting the weight of the car? You want your car on the wheels when you install the bar. Can the painted components (or better yet, all of the parts) come in red (to coordinate with the red interior stitching and the car's red paint? The hood struts and front strut bar can be used at the same time.